YES, WE DELIVER AND OFFER ONLINE ORDERING TOO! Only the BEST is good enough for our customers! We use the finest Italian ingredients. All of our sauces and pizza doughs are made fresh daily! We only use 100% vegetable oils, extra virgin olive oils and 100% natural cheeses. You will taste the difference! 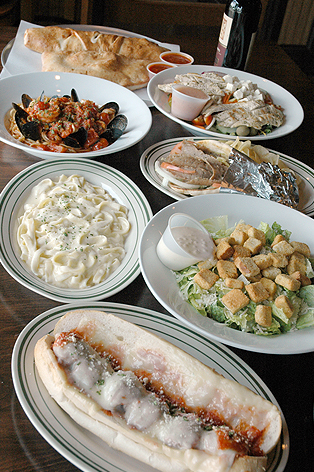 We offer Dine In, Carry Out, Catering, Delivery and Online Ordering.